The SpaceX Dragon capsule was launched on Saturday from the Kennedy Space Center in Florida on a mission to demonstrate that it could carry astronauts to the International Space Station. Launched on Saturday from the Kennedy Space Center in Florida on a mission to demonstrate that it could carry astronauts to the International Space Station, Dragon docked at the station the following day before detaching early Friday for its return to Earth. 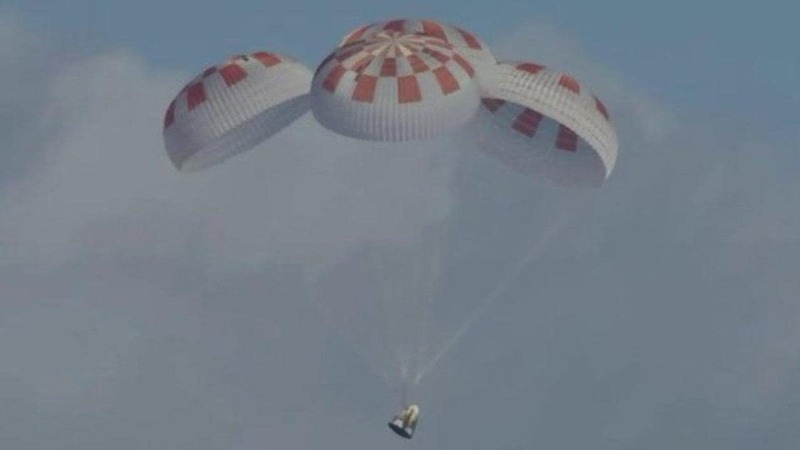 Live footage from NASA showed the capsule’s four main parachutes opened without a hitch, and it splashed down at 8:45 am (1345 GMT).